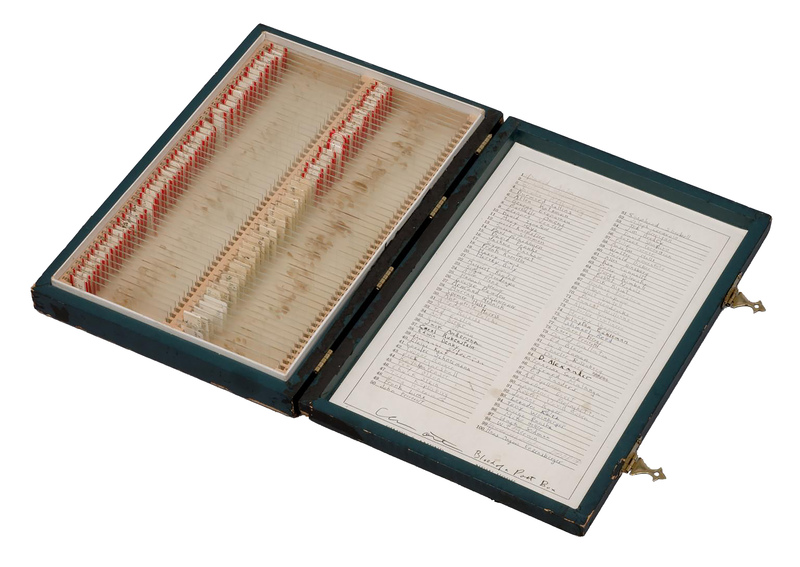 For her piece Blood of a Poet Box (1965-8), Eleanor Antin collected blood specimens from 100 poets, which she preserved and labeled in glass slides. The work alludes to Jean Cocteau’s 1930 film Le Sang d’un Poète [Blood of a Poet]. This entry was posted in Uncategorized and tagged 1960's, 20th Century, Art, Blood, Conceptual Art, Eleanor Antin, Poetry, USA, Women. Bookmark the permalink.